At Redesdale Primary School, our vision is for ALL children to experience excellent physical education, school sport and physical activity, creating universal enthusiasm about physical activity; where every child feels confident and ready to participate, leading to lifelong enjoyment, participation and active lifestyle choices. 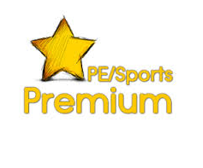 Please click on the link below to see our PE and Sport Premium Action Plan 2018-2019. Redesdale Primary School received £17,640 PE and Sports Premium in 2017-18. We have utilised the PE and Sports Premium this year to ensure children receive the effective teaching of a high quality PE curriculum and the further development of new sporting and playtime opportunities. We feel it is essential to encourage children to become involved in sports and physical activities, as well as participating in extra-curricular clubs and taking part in competitions. 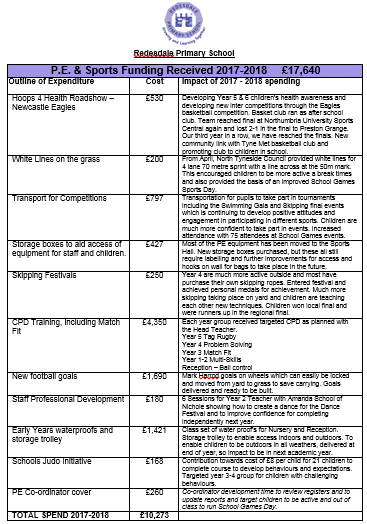 Please click on the links below to see the PE and Sports Funding Impact.